Comprehensive Keyword Research: The absolute center of every PPC campaign is keywords. 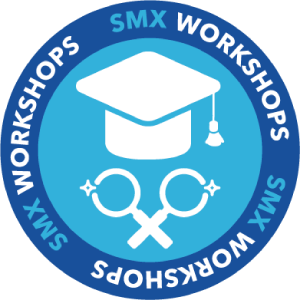 Learn the effective methods to discover and research keywords. While keywords are the lifeblood of PPC, perfecting your match types usage while controlling your negative keywords can drastically increase your overall revenue. Writing Compelling Ad Copy: You will learn how to sync your ad copy with both your keywords and buying cycle stages. Testing ad copy is essential to any AdWords account’s success. You will takeaway several ideas for ads to test by the time you leave the session. Increase your Reach Through the Google Display Network: Consumers spend about 5% of their time with the search network. The rest of their time is spent on content sites. Learn how to effectively reach users beyond search with contextual ads, placements, and enhanced campaigns. Control Your Ad Display with Location Targeting: Do you think that geographic targeting isn’t relevant to a national business? Think again! Whether you are a brick and mortar local business, or a global e-commerce site, learn how geographically targeted campaigns can create additional connections with searchers. 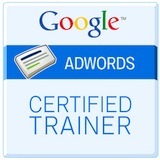 Note: Advanced AdWords Training will be held on Monday, March 24 in the RAMADA Hotel & Conference Center. The seminar will begin promptly at 9:00 am; please arrive at least 15 minutes early to register and pick up your course materials. Breakfast, lunch and snacks will be served. The seminar will end at approximately 5:30pm. Attention! The following workshop is in GERMAN.